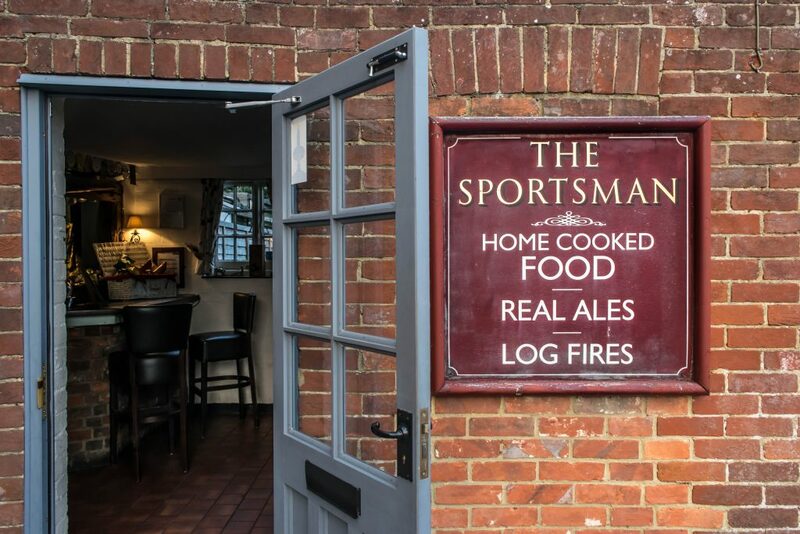 Just North of Brighton between Hurstpierpoint and Cuckfield, (around a 30 minute drive) there’s a traditional country pub called The Sportsman which is on Goddards Green. It’s a grade II listed building that boasts character with an abundance of outdoor space that surrounds the building. There’s even a large patch of land opposite the pub where I imagine plenty of people spill out onto on a hot summer day. 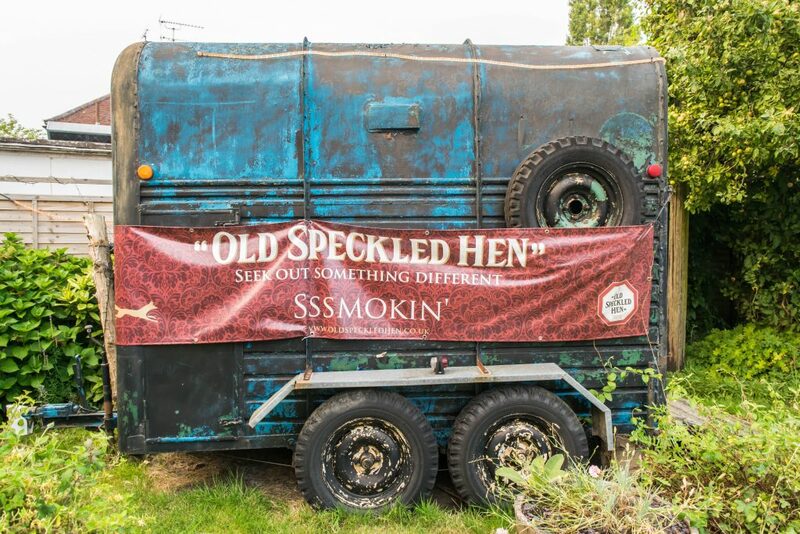 The exterior looks traditional, especially with its green rustic carriage next to the entrance where the car park is, sporting a couple of bar stools inside where you can sit and have a drink. 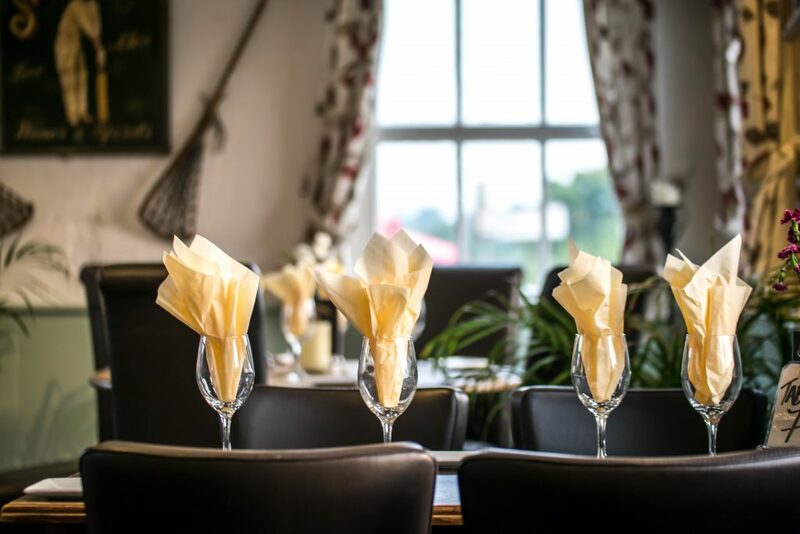 The ambience inside is welcoming and homely with a sophisticated edge. There’s some beautiful natural light that comes through the windows so it’s airy and bright in the day and by night the lights are dimmed and candles get lit. There some vintage sports paraphernalia adorning the walls, and there are beams showing throughout to really give that country pub feel to it. 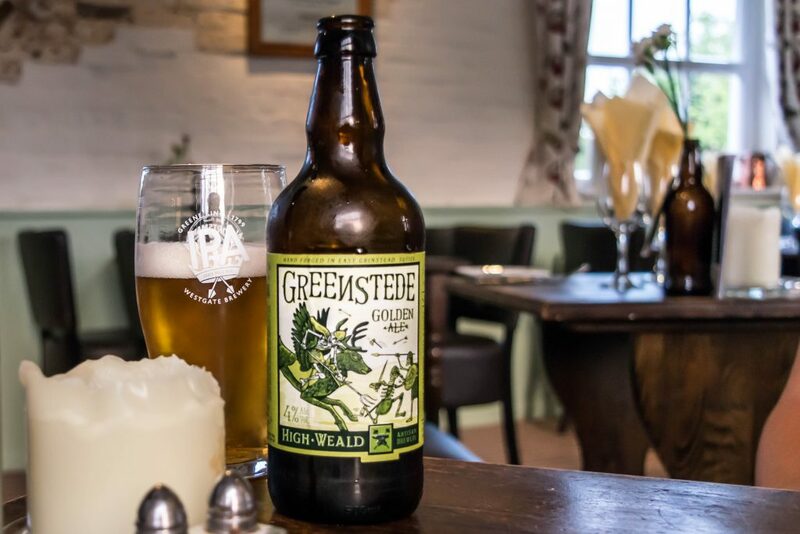 We were seated by our friendly waiter, and ordered a couple of local ales as I’ve heard they’ve got a reputation for serving local ales. So we went for a Harvey’s and a Greenstede Golden Ale, both fruity and refreshing. Looking at the menu there was a varied selection of food to choose from. We decided to try the Beal’s of Sussex Mangalitza Charcuterie sharing platter (£13.50) to start. Since visiting The Sportsman I was curious to find out what Mangalitza was, and for those that don’t know like me, according to the Beal’s of Sussex website, it’s a type of pig (originally from Hungary) that has the looks like a cross between a pig and a lamb, sometimes referred to as ‘wooly pigs’ because it has curly hair! They are known for their flavourful lightly gamey taste, with a powerful sweet and nutty flavour. So when you order the meat sharing platter at The Sportsman you’re getting this rare breed of pig from a local farm where they’ve been raised. 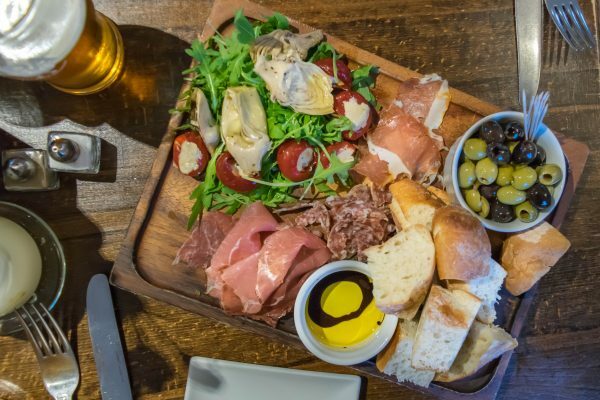 When the platter arrived, it was served on a big wooden rustic board, it looked fresh and colourful and was perfect for the hot summer’s day. 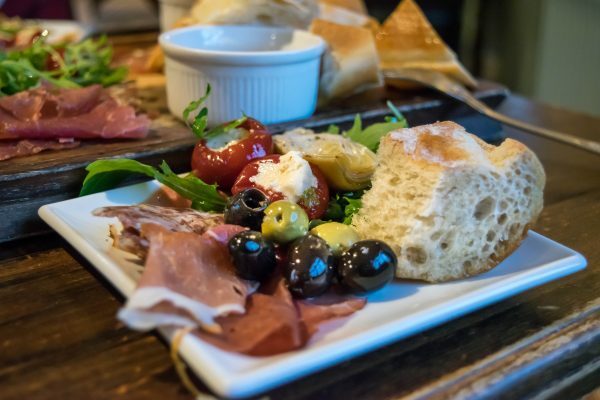 There was a selection of Mangalitza slices, a bed of salad with some juicy artichokes and stuffed peppers, a generous bowl of mixed olives and bread. The platter would have also been the perfect accompaniment with a few drinks outside in the sun with some friends! For our mains, we both ended up going for something salady, it’s been quite nice whether recently so that must be something to do with it, but it was a tough choice, because the burgers that were being served did look good! 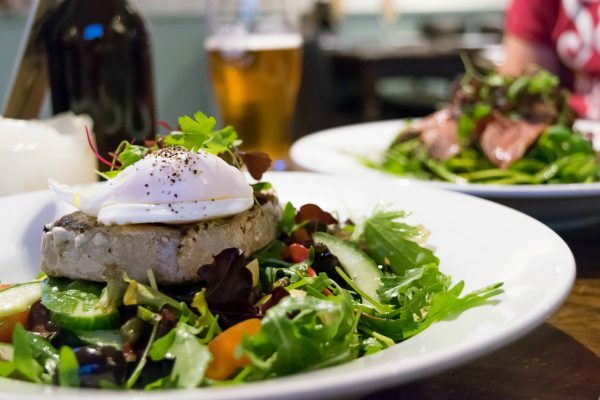 I ordered the char-grilled Tuna Loin Steak Nicoise Salad (£14.00), this came with green beans, potato, olives and a poached duck egg. The first bite really had my mouth watering, the tuna was tender and juicy, the flavours from it being char-grilled really came through and the mix of flavours were my favourite kind; salty from the giant capers, fresh from the subtle mint and then there was creamy from the perfectly poached duck egg which oozed yellow as soon as you touched it! There were enough ingredients and tastes to play with varied combinations as you were eating this dish so you didn’t get bored. It was a real treat and I enjoyed every bite! 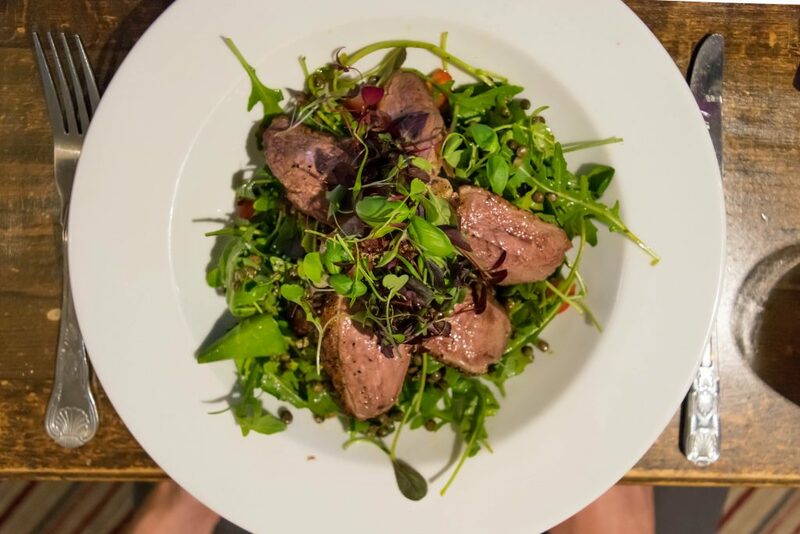 For Dan’s main he ordered from the specials the Roasted Breast of Duck on a Watercress & Puy Lentil and Mango Salad (£15.50). When that arrived it was beautifully presented with the bed of salad piled up high and slices of the pink duck breast spread like petals. 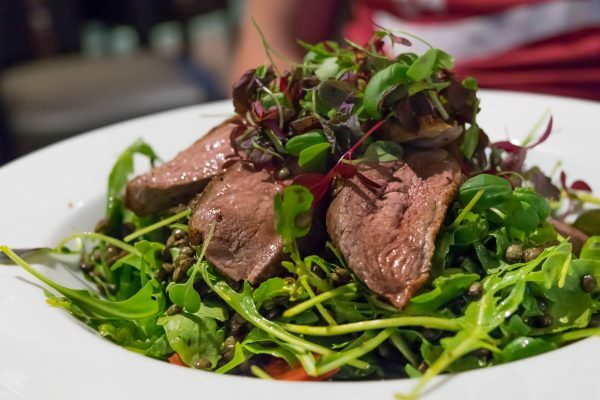 The flavours were good, there was a slight sweetness from the mango which went well with the duck, the puy lentils were cooked nicely with a bite to them and there was plenty of watercress salad. This dish was back to basics in comparison to my nicoise salad, but the basics were made of strong flavours, the meat was the centre of attention in this dish. If you’re really hungry I might suggest ordering a bowl of chips for the side, not beacause it’s a small portion, it’s far from it, but it’s a lighter dish because lentils are very light anyway so just for an extra carb if you’re that way inclined! Ending on a (sugar) High! For dessert we had a Sticky Toffee Pudding with Toffee Sauce & Vanilla Ice Cream (£6.50) which had to be one of the best sticky toffee puddings I’ve had! It was so sticky and gooey with chunks of walnuts throughout the sponge to give it an added bite. The hot toffee sauce was buttery and thick, and with the cold vanilla ice cream that really balanced the dish. A traditional pudding done to perfection, Dan made a good choice on that one! 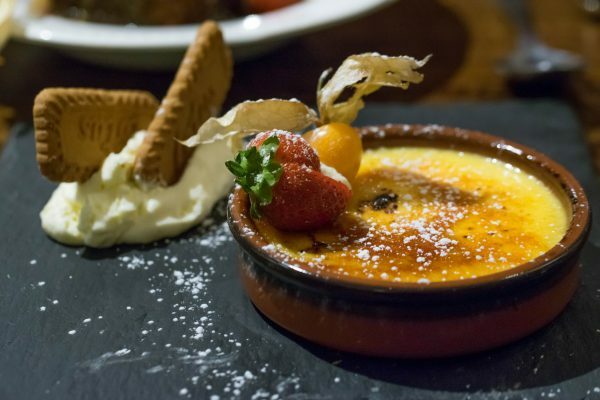 I had the Vanilla Creme Brûlée (£6.50) which was tasty too, it went really well with the strawberry that garnished it, a couple more would have been nice, and the little biscuits were quite nice, they were the Lotus ones you get from a packet. It had a lovely golden crunchy top to it that was satisfying to smash into, and the cream underneath was flavoursome and light. But out of the two I would definitely recommend the sticky toffee pudding! Overall the evening dining experience at The Sportsman was a relaxed and enjoyable one with tasty food. It certainly seems popular as the area we were sitting in filled up in the time we were there. I really loved the outdoor space here and would love to come back for their lunch service and sit outside, or with one of their sharing platters and a cold ale. 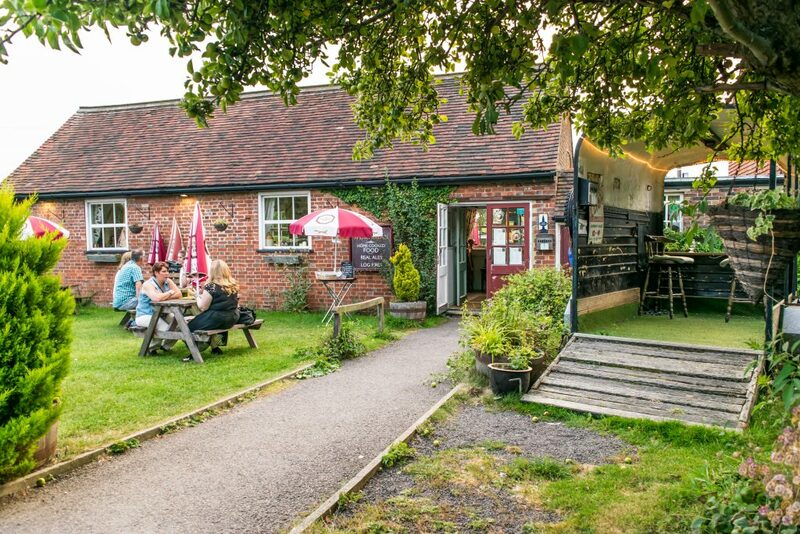 Alternatively it would be a lovely cosy pub to come to in the winter and I can imagine it’s great at Christmas! 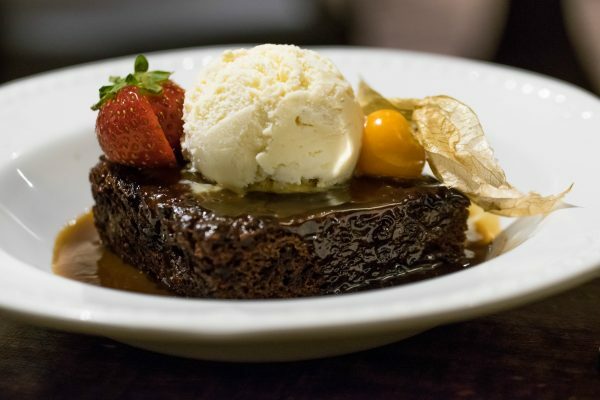 and of course… I’d recommend you come for the desserts as it was one of the best sticky toffee puddings I’ve ever had!